assist you in all your at-need and pre-need arrangements. Staff will show you around our grounds and help in the selection of a plot or niche. There are plots available for Upright Markers, Flat Markers, both Single and Double. We have both In-ground cremation plots and Above-ground Niche areas available. Prices are listed below and broken down into Plot, Endowment, Single or Double Crypt, Opening and Closing Costs depending on the plot location. All prices include state and local taxes. 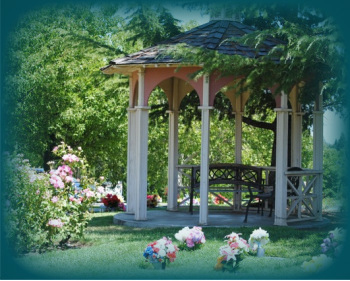 By state law the Vacaville-Elmira Cemetery cannot sell markers. Please contact your Funeral Director or Monument Company for marker information. AT THIS TIME THERE IS NO AVAILABILITY IN THE FLAT STONE AREA. WE EXPECT TO HAVE A NEW SECTION DEVELOPED SOMETIME IN 2019. Plot $1,250.00; Endow $350.00; Single Crypt $827.13; O/C $800.00. Plot $1,650.00; Endow $450.00; Single Crypt $827.13; O/C $800.00. Plot $850.00; Endow $250; Urn Vault $171.10; O/C $200.00. Niche $1,050.00; Endow $250.00; Bronze Urn $127.72; O/C $100.00. Niche $1450.00; Endow $250.00; Two Bronze Urns 255.44; Two O/C $200.00. We also offer the Titan Water Protective Crypt and Water Protective Urn Vaults.